Sue (Susan Dow Smiley) is a loving mother, grandmother and registered nurse. For those of you that know Sue, you know that she is an amazing, all around giving person. She has spent her life being an exceptional loved one and friend to so many and is now literally fighting for every breath. The person who has given to so many, for so long, now needs help from family and friends alike. In August, Sue was hospitalized with an upper respiratory infection. Shortly after release from the hospital, she was placed on oxygen and became progressively worse. Her local primary care physician and specialists that were consulted were both puzzled and challenged by her quick decline. After a month or so with no identified improvement, she was referred to the Mayo Clinic facility in Jacksonville, Florida for further evaluation. After identifying that the infection was present for some time prior to being diagnosed, it was determined that there was already permanent lung damage, so Sue was referred for evaluation to the Mayo Lung Transplant program, while simultaneously being treated with rigorous IV drug therapy. So just a few months ago, Sue was caring for patients, spending time with her family, especially her 4 grandchildren who give her tremendous joy, enjoying kayaking and taking longs hikes on the beaches and state park trails. Today she is dependent and tethered to oxygen and unable to go more than a few feet without needing to recover. But there is hope! Sue is continuing to work with the amazing doctors and staff at the Mayo Clinic in Jacksonville and we are hopeful that she will be approved for a double lung transplant. 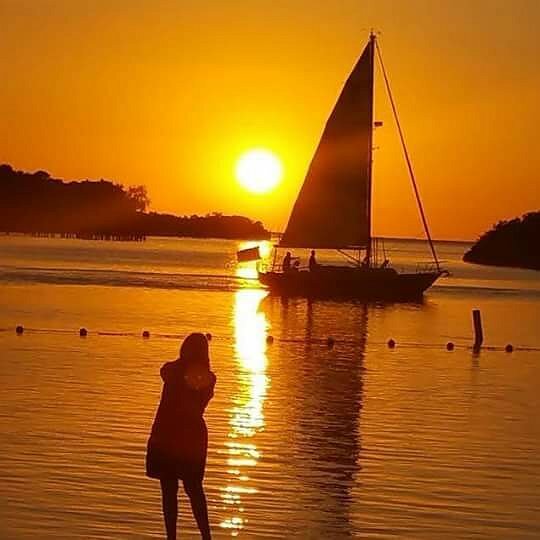 While working through the extensive testing, temporarily relocating from her Tampa Bay area home to Jacksonville, and trying to fulfill the stringent requirements to be a transplant candidate, her employer was unable to keep her on short term disability. Even with insurance, costs for pre and post transplant are staggering. Please give what you can to help Sue transition through this journey and realize the dream of breathing freely again. Help hope live! Last week was full of 3 month bronchoscopy(to check for rejection and infection) and EGD( both with biopsies and cultures),CT scan and usual weekly/biweekly assorted bloodwork,chest xray and pulmonary function tests.This week I will get results of all and whether I need an additional procedure….and hopefully an idea when I might be heading home.Starting to really miss the kids,grandkids,friends and family.Hoping and praying for some positive outcomes. Physical therapy let me off last week since I had back to back anesthesia/recoup but back to 3X this week. All prayers and positive thoughts greatly appreciated. Last week marked the 2 month mark post transplant for Sue! Yea! Sue is focused on compliance with medications and physical therapy goals, but most of all enjoying life again! Sue and her current caregiver, Stacy, have found some beautiful trails in the Chapel Hill area and have enjoyed many longs walks, even though they have had to dodge the rain and mud as best they can! Sue misses her family – especially Eric, Sam, Jasmine, Hailey, Chelsea, Tristan and Ben – as well as all of the rest of her family in Florida, New Jersey, California, etc. A big thanks to friends and family in Florida who made it possible for her to attend Eric and Sam’s beautiful wedding a few weeks ago via Facetime, and through the many pictures and videos that have been shared with her. 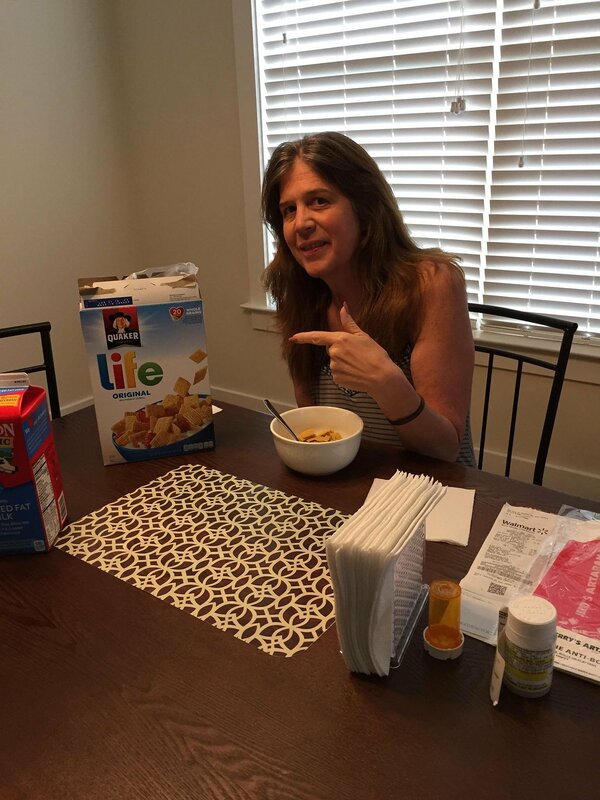 Donations made to Sue’s HelpHopeLive fund are supporting her ongoing housing expenses in Chapel Hill and are literally making it possible for her to stay in the area to receive the required post transplant care needed for continued success. Sue expects to be in the Chapel Hill area until approximately September. Stay Strong Sue! A touching video journal of Sue’s journey to breathing freely again. The courage Sue demonstrated throughout the journey and the bravery with which she faced each and every of the many challenges is extraordinary…….. Tomorrow marks 7 weeks post transplant for Sue! Again gratitude to God, the donor and family, supporters, the transplant team, caregivers, etc. She is making great strides, taking each challenge as it comes, and embracing the “long and winding road to recovery”. Sue enjoys her walks in nature to help her reconnect with those simple things that bring her joy, while helping to strengthen herself and rebuild endurance. One of the biggest challenges is coming to terms with the difference between what she wants to do, and what her body will allow and sustain. So the rebuilding of endurance and stamina is a longer process, hence the “long and winding road” reference. Keep the thoughts and prayers coming – they’re working! Stay strong Sue! Sue is taking each day as it comes, not without multiple struggles, especially constant nausea. She is staying strong and being creative with trying to find what works to sustain the many required medications. The Chapel Hill “healing home” has been a place of respite and comfort amidst all of the many challenges. Please continue to pray for Sue for strength. Sue was discharged from UNC the evening of Tuesday March 14th after a 5 day stay for nausea, pain and dehydration. They adjusted medications to provide some relief for the nausea and pain. Sue is readjusting to her Chapel Hill home, focusing on the change of meds, schedule and control of nausea/pain so she can resume her physical therapy and strengthening and continue down the path of recovery. Sue is thankful for the continued support, prayers and well wishes. It is really the support system and God’s guidance and strength that has gotten her through the challenge to date. Sue was discharged from UNC Chapel Hill on Monday! Look at the smile her first night in her Chapel Hill home! She is on almost a daily schedule of clinic visits, PT, and other outpatient care as well as home health, and is showing great progress and is breathing freely. What a gift! “I wake up every morning thankful to my donor and grateful to be alive. It is day 12 post op from my double lung transplant.It is a wonderful gift to receive.God had all the people and events come together as they have. I can breath without oxygen,I can walk more than a few feet without gasping for breath.In fact, I can walk down long hallways 400 ft + without any problem. I need to adjust to side effects of the medications and changes in lifestyle but this is a small price to pay for life. I feel that I am improving daily and my doctors are happy with my progress. When I left surgery I had 4 chest tubes,PICC line,multiple IV lines,catheter,bandages,NG tube,etc.Day by day they removed 1-2 of these until they were gone. I’m now left with a PICC line and as of yesterday all bandages are gone. Some of the problems I’ve been dealing with that seem to be more challenging are pain,nausea,and swelling in both legs and feet.Doctors assure me that these will resolve over time and all are perfectly normal post op and/or as a result of medications. My attention span has been 0 and I’ve been pretty tired but love going onto Facebook, even if only for a few moments at a time, to look at all the beautiful and uplifting comments and support that everyone has posted.You cant imagine how much strength it has given me when I felt weak,tired and sick. The cards decorate my hospital room. Thank you all for being so supportive,kind,and caring. It truly warms my heart to know I’m surrounded by such amazing people. I expect to be leaving the hospital next Monday. I have been hospitalized since January 13th at Tampa General Hospital before being flown to University of North Carolina Chapel Hill on February 1st. I am looking forward to seeing what “outside” looks like. Love to you all <3 <3 <3 "
Sue received some great news yesterday – discharge is being planned for Monday, March 6th! While her care team preps for her discharge, plans post discharge medication/schedules, etc., Sue is excited to be move onto the next phase of weekly clinic visits and pulmonary rehab several times per week. This requires Sue to be in close proximity to UNC Memorial so her brother Craig is working out living arrangements within a few miles of UNC, as well as a schedule for close friends and family to caretake for Sue. What an amazing journey so far, and as you can see from the inset monitor reading in the picture, good results! Each achievement, like taking a shower independently, is a victory along the way that Sue rejoices for. Sincere gratitude to all who have contributed to date, as each donation has helped Sue along in this journey, and each prayer and sentiment has helped Sue sustain her strength to move forward. 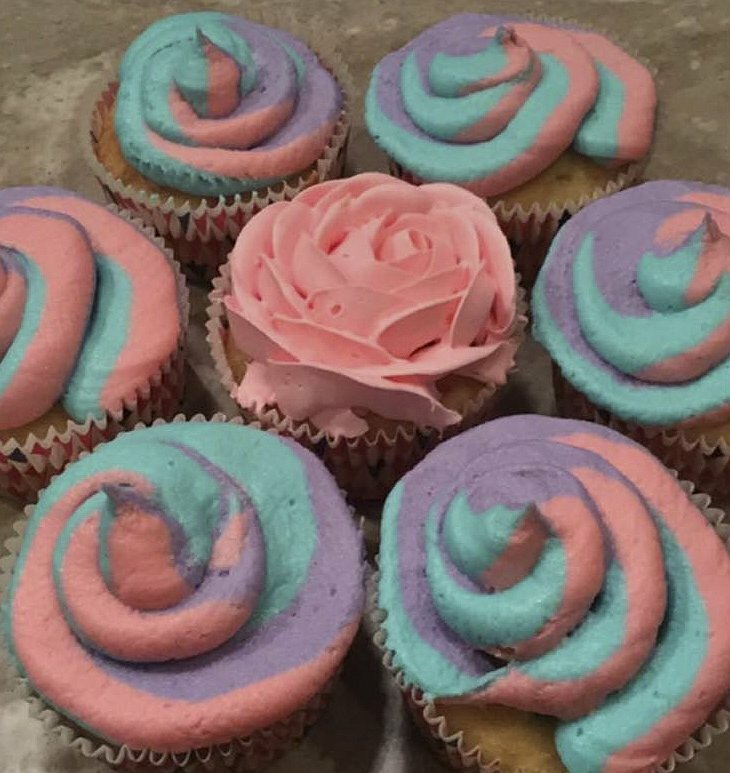 By popular request, I am providing an update to Sue’s journey and a Birthday Challenge! 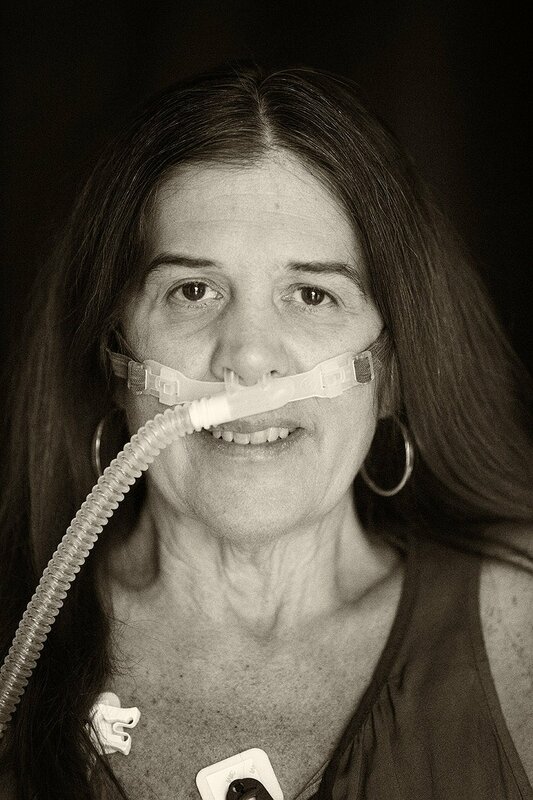 Sue is breathing on her own without oxygen for the first time in almost 6 months. She is hoping to be eating again very shortly, but for now, she is thankful for flavored ice chips. She has begun walking and has surpassed distance goals. She is still very weak and in pain, but each day is improving. She is thankful, hopeful and continues to be overwhelmed by the outpouring of love and support by everyone. She is hoping to transfer out of the hospital this week (Unbelievable to me) to begin the long road to recovery with her caregivers. Lots of “good news” updates to report on regarding Sue’s journey. It is now Day 4 post transplant! Each day has brought improvement in Sue’s recovery process and more things to be grateful for including her donor and family, and each and every one of you that have provided support to Sue, her children and grandchildren, family and close friends. This journey has been such an illustration of how the support of many can help ease the burden and heavy load a challenge like this presents. The support of all of Sue’s supporters truly inspire her to fight harder and the gift of breathing freely again is becoming a reality. The following are updates that were messaged along the way that we want to provide to those following on helphelplive. Another very short phone call as Sue has limited strength, is dealing with lots of meds and just plain needs her rest. The tube in her nose is still there, but she was excited to tell me that she had walked around the nurses station today! Farther than had been planned. Staff assured her she was doing great and reminded her she is less than 3 days post surgery. Spirits are up and she can’t wait to have a drink of…anything. Something else we touched on and has been on many people’s minds. Obviously Sue’s gift of life could only have happened because of the unselfish act of an unnamed hero. 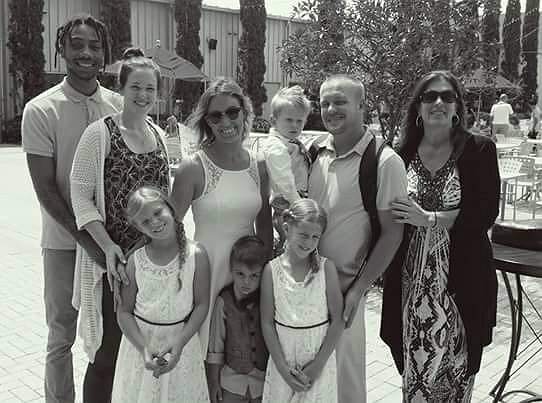 Our joy at Sue’s second chance did not come without pain for another family and friends. I now look at the pink dot on my drivers license differently and finally understand the meaning of what it can do for so many. While keeping Sue in your thoughts and prayers… please include our donor and their family and friends. Sue now has two birthdays and she intends on honoring this person every year on February 18. So yesterday my mom found out a lung donor was available. But we would not know until really late if they would be compatible. Around 10 or 11. There was confirmation they were good. And just after midnight she entered the operating room to receive a double lung transplant and after almost a 7 hour operation we just got confirmation that it was a success!!! Thank you to everyone that has helped along the way. She still has a journey ahead of her over the course of the next year. Sue raised her hand and began to attempt communication with cousin Barbara Oakley Stevens shortly after surgery. Everyone who knows Sue knows how much she can talk ;). The goal is to be have the tube removed today. Please keep my sister, Sue Dow, in your thoughts & prayers EXTRA tonight.. She went into Operating Room at 11:45pm eastern time. DOUBLE LUNG TRANSPLANT… No updates expected until after 10am…ish. Long Surgery. Great news today messaged by the transplant team at UNC! Sue has been approved for a double lung transplant at UNC/Chapel Hill! Great news for Sue, her family and all of her friends and support warriors. What a blessing! Sue needs our emotional and financial support more than ever. Every little bit will help her with cost of housing in Chapel Hill and long term post transplant drugs that are not covered by insurance. Stay strong Sue and thanks to the UNC team for making this a reality and helping hope live for Sue. This is an important week for Sue. The transport from Tampa General to UNC/Chapel Hill was very taxing on Sue, and she is most thankful for the phenomenal family, medical and transport teams that lifted her up to make the transition. As she focusses on every breath, rest, trying to maintain the minimal remaining strength that she has, and working with the transplant team at UNC, there are many daily struggles. 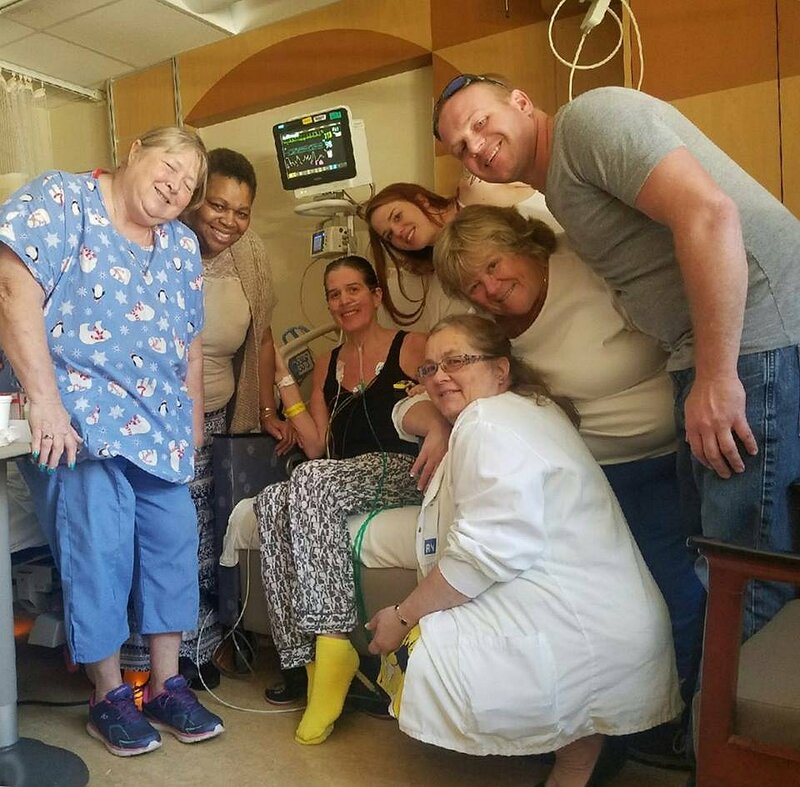 Her support army has been praying that she is listed for transplant this week, and close friends and family have rallied and planned to provide the emotional and caregiving support that will be needed for this surgery. Fundraising for Sue is critical at this juncture as there are the realities of the uncovered post transplant medications and expenses of relocation to Chapel Hill, NC that are a bit staggering. Any help in the form of local fundraising in your church or community, or donations are most appreciated. The prayers, words of support and encouragement that Sue receives are so precious and uplifting to her, and help her move minute by minute closer to breathing freely again. Sue relies on this support, listening to spiritual music, nightly chats with her Mom (and others as her breath allows) and reading her Bible for peace. One song that has been particularly comforting for her this week is George Harrison’s “Give Me Love”….take a listen if you have a chance…..stay strong Sue! Sue is resting now at UNC, that is between lots of visits from her care team etc. 🙂 We will be sure to post updates on evaluation outcomes, as well as plans going forward as information becomes available. The transfer to UNC is a very positive step in this journey for Sue. All of your prayers and support are truly helping Sue every step of the way! Take a minute and look at Sue’s photos by clicking on the photo album in the lower right. There are some good shots of her send off from Tampa, as well as of Sue and her transport team from UNC. Smooth trip from Tampa General Hospital to University of North Carolina Chapel Hill via small jet thanks to Laura, Chris and the rest of the crew! God is good! He has put so many people in place to help me through this journey. Thank you all for all of your prayers and warm positive wishes. Please keep my children and grandchildren in your prayers as we go forward. Again I’m asking for prayer from my prayer warriors. When I woke up yesterday on day 18th day of my hospitalization at Tampa General, I didn’t expect how the day would go. By the afternoon I heard that University of North Carolina Chapel Hill might be interested in evaluating me for a double lung transplant, had already spoken with doctors here, and may transport me hospital to hospital by Thursday. At around 8 p.m. last night I was told that I was going to be flown out between 130-230 p.m. today to NC.This is just for an evaluation but I am hoping and praying for a positive evaluation and outcome. Thank you for your ongoing prayer. Sue was admitted to Tampa General Hospital (TGH) about a week ago and has been in ICU. 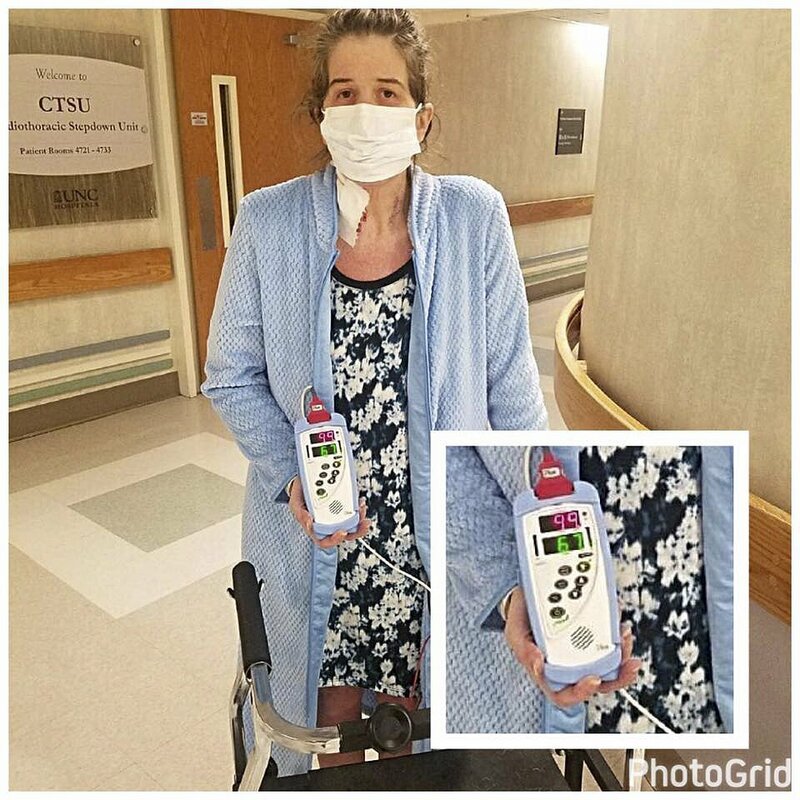 She has had increasing challenges breathing and tolerating the strong IV medications to battle the insidious mycobacterium infection standing between her and transplant candidacy. 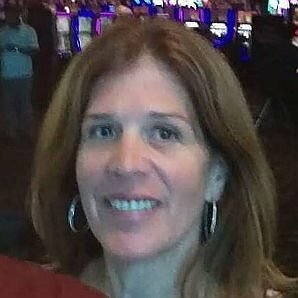 While the team at TGH has making her a bit more comfortable with high flow oxygen and other treatments, they have been reviewing her records from Mayo Clinic, performing some additional testing and she is currently being assessed by the pulmonary and transplant team for recommendation of options going forward. This is a critical time for Sue as she continues to be strong and persevering while the Team continues to determine Sue’s options going forward. Please continue to keep Sue in your prayers, she appreciates all of her family, friends and supporters love, prayers, strength and healing thoughts. Sue was discharged from Mayo Hospital on December 15th.She is very weak and is continuing on multiple IV antibiotics given through her PICC line, as well as antibiotic medications and multiple other medications by mouth.Sue returned from Jacksonville to her sons home in Lutz where she will continue to battle this severe infection in her lungs while trying to become stronger.In January, she will return to Mayo Clinic for appointments and follow ups.Sue is enjoying being with her family and thankful for the time with them. She is working on improving her sleep and her appetite, which diminished due to weakness, shortness of breath and nausea from multiple medications. Sue is persistent in her fight to get stronger and eradicate this infection in the hope that she can then be a candidate for a double lung transplant.Please pray for Sue, her family and her healthcare providers and help hope live. Sue continues to be strong as an inpatient at Mayo Clinic in Jacksonville, fighting to eradicate the infection which is a requirement for lung transplant candidacy. Sue has expressed her deepest gratitude and sincere thanks to each and every one of you that have provided support, words of encouragement, reflections on friendship and good times together, and donations to help her navigate this phase. Together, we can help hope live for Sue! Hope your recovery goes well. I just got denied by Mayo Clinic for mine. They say I am to high risk. Trying Univ Fl for 2d opinion. GOOOOOOO Sue!!!! You are looking great and what a trooper!!! Saying a prayer for continued strength and healing!!! Much love to you! I understand what you are experiencing because my late fiance had a double-lung and heart transplant and months of problems that needed adjustments and careful monitoring. After the initial hurdle she did fairly well, but was prone to infection and did have hospital stays on and off. Unfortunately her medical team at Univ of Pittsburgh messed up not looking at months of bloodwork and a diabetic crisis paved the way to her eventual demise. Keep on top of those doctors! Best wishes for a very successful outcome and a long enjoyable life. Hi Sue, I don't actually know you either but have been keeping up with your journey through Cheryl. Cheryl and I lived together in Medford before we both were married. Your spirit inspires me every day. I'm so happy you are doing better- I have been praying for you every day. It is truly a miracle how everything came together for you. May you continue to get stronger every day. Hi Sue, We don't actually know each other, but I've been keeping up with your journey and your progress via Barbara Stevens. You are truly amazing and INSPIRING, and I wish you continued, speedy recovery! We are praying. We Love your family out here in CA. Praying for you and your family. Your a great person and loving person I know. You are in my thoughts. Praying for your kids and grandkids like you asked. Praying for YOU, too. Keep your light shining for Him. Someone needs to see it today. May the loving hands of Christ heal your body and give you strength and abundant health. You are a wonderful friend who I miss seeing Friday nights at the small bible study group we used to have. I love you, my sister in Christ Jesus. Sending love and light for your recovery. Sue, I am praying for GODs will in this matter. Laura and I love you so much. You are bright light in this dark world,please hang in there and fight. Wish you weren't so far away where we could come visit you. Know you are in our hearts and minds. GOD bless Eric for keeping us al informed. Love and miss you , you are not alone in this. Hi Sue, It's been 100 years(! ), and I am sorry the news is to hear you are going through this. You are in my thoughts and prayers. The boys and I loved having you and your Mom and Dad visit Illinois to be there at Alex's wedding. I don't get to see you very often, but I know it will be as if we were never apart, once we start talking. You are not just my cousin, but also a great mom, caregiver, and a compassionate and wonderful person. We're praying for every greatest blessing for you and that your health can be restored very soon. Love you, Sue! Dear Sue, I'm remembering when I first moved to South Orange, and landed in Mr. Dynan's sixth grade class. You, Bill Merkl, Tracey were among my first friends there. A lot has changed in the world over these forty (WHAT!?) years. You are in my prayers. May the creator of healing heal you. May the merit you have gained as a conduit for the healing of so many be your voice in the heavenly court. Hey Sue, Thinking of you - stay strong! Moonshine; You taught me (as well as many others I'm sure) that every day is a gift. And the greatest gift on any day is Friends... Thank you for being one of the greatest gifts for all of us!! WE LOVE YOU SUE! !❤ OBD, Sparkles (aka Kathy Heiser Quaterola), and assorted accumulated Omnians abounding!! Sue...you are in my thoughts and prayers. Get well soon! Susie you are a loving, giving, & kind soul, and I know all this is coming back to you thru the circle of family & friends who surround you. You & your family are always in my thoughts & heart. U are im my prayers sue im an so sorry to hear about this... god is good he is always with u..
Sue, somehow or other, in a short amount of time, you have become very important to me. Though we didn't get to grow up together, I still feel that family tie thing. So I simply cannot accept anything but the most positive outcome. I know a little something of what you've been through lately but you're a strong lady with a lot to look forward to. I know you can do this.